When I first imagined my wedding I had dreams of buying vintage china and using recyclable paper for my eco-friendly wedding. In reality, there are some things that are just not always feasible. I definitely had the environment in mind when planning my wedding but I also had my budget in mind. But being frugal and eco-friendly aren’t mutually exclusive – they can work together. And it can be easy! You just can’t be afraid to break the mold a little bit. Once you get past the traditional or more commonplace wedding “essentials” you can move into the creative and eco-friendly zone. Sparklers are popular for a send-off but they’re super wasteful. Other equally wasteful choices are bubbles and confetti. Instead, try dried flowers, leaves, or biodegradable confetti. Don’t forget to use a recyclable paper or biodegradable container as well. Sometimes, depending on the venue and/or catering company, they opt for plastic wear instead of china. If you can skip it do it. Think of all the plastic plates, cups, and utensils that get thrown away. Using real flowers is usually the standard for a wedding but sometimes not the cheapest. However, you can be eco-friendly and stick to the budget by buying from local florists and choosing flowers in season. By having the ceremony, photos, and reception all in one place guests don’t have to drive to separate locations, which cuts back on carbon emissions. Eliminate extra paper waste by skipping ceremony programs, menus, and paper seating assignments. The only time these are actually helpful is when they can double as a fan. If you are using a program give it another purpose as a fan or even give it an activity on the back. Adults and children alike will appreciate it. You can also give your favors an extra purpose. Instead of opting for something that will immediately get thrown away, make the favor something reusable, multi-functional, or edible! At my wedding, the favors served triple functions as the favor, seating assignment, and drinking glass for the evening. If you’re decorating the ceremony site, be sure to incorporate those decorations into your reception decor so you don’t have to buy more than necessary. Certain aspects of weddings can be timeless, like wearing your mother’s dress or vintage/used bridesmaids dresses. 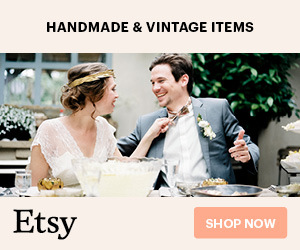 You can even find beautiful vintage wedding rings! It’s perfectly eco-friendly to reuse something and give it more purpose instead of leaving it destined for the dump, never to be seen again. When people hear or read the words eco-friendly they might immediately think expensive or too difficult but these are easy ways to incorporate eco-friendly practices into your wedding. Sure, there are countless other ways to make your wedding eco-friendly, and I would never discourage those, but these are some easy way that won’t break the bank. Let me know in the comments below what you think of these ways to make your wedding eco-friendly. Would you ever use any of them? Very practical and doable suggestions. Eco approach alone can save the world. And this is a great contribution for that. I would try doing most of these when time comes. There are so many wonderful, unique, eco friendly and money saving ideas here. This guide is perfect for anyone planning their special day, I definitely have a few friends I can share this with! Thank you for all the wonderful tips! Some of them were obvious to me, but glad you get the word out that others think of those as well! Great tips! I do agree that we shouldn’t waste paper, but if the wedding planning has to include using paper, why not reuse it later, so children can draw pictures or for other purposes, or have a recycling bin or box at the venue? Yes I agree! If it can be reused for another purpose than of course that’s a great thing too! Those are some awesome tips. Over time it would make a huge difference if a majority of people started to go greener especially on their wedding day when a lot of things just get used once and thrown away. It would probably end up being cheaper to do in the long run as well since things can be reused. Thanks for sharing! I love the idea of having everything in one spot and I think that would make out much more convenient for everyone involved! This is a great idea. I love the scent of lavender so this could definitely work for me. It was awesome and we got some really funny pictures because of it haha. Great tips for making fresh flowers affordable. Fresh is so much better than fake for so many reasons. And I love the program chalk board. Totally classy and eco-friendly. Those are nice ideas. Written program on the board is pretty cool.